We hit the annual book sale at Locust Grove Friday morning and got some great books! Then on to lunch in Middletown and a couple of antique stores/malls. 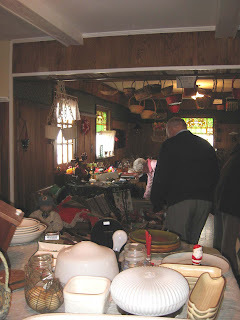 We found out about an estate sale over on Westport Rd. so we headed over there and it was so worth it! Found some great treasures in the basement, including lots of old books!